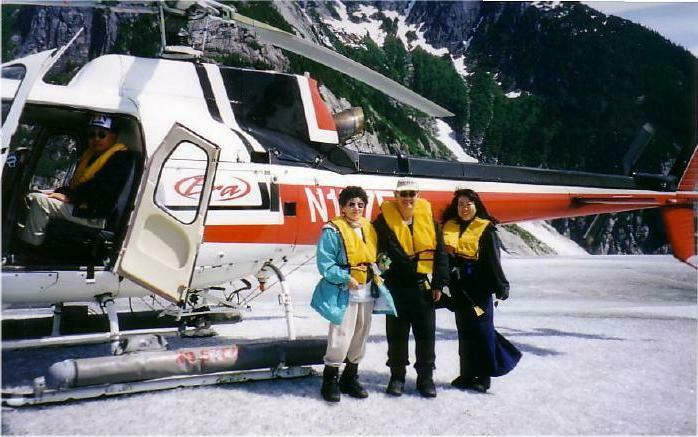 We cruised Western Canada and Alaska aboard the Princess liner, Sea Princess ship. In July, the sun doesn't set until half past eleven. 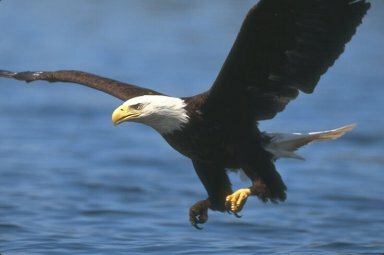 Bald eagles were a common sight in the Alaskan skies. We first stopped at Ketchikan. Souvenir shops lined the downtown streets. 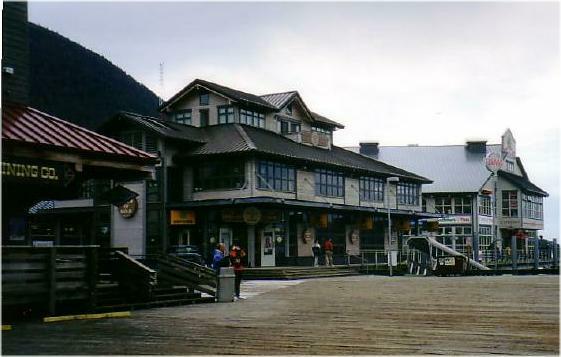 Internet cafes in both Ketchikan and Skagway were packed with people. 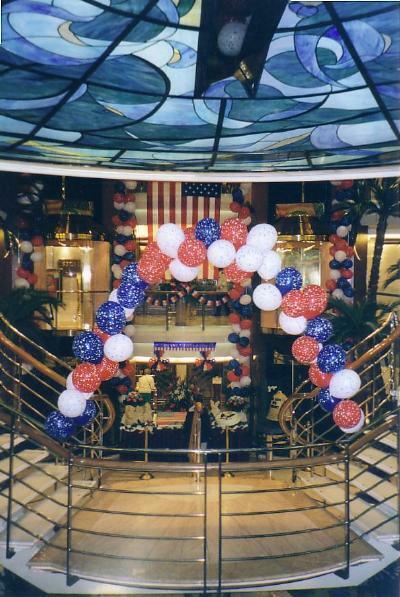 We celebrated Independence Day aboard the ship lined with flags, festive and patriotic decor. U.S. maritime law does not allow cruise ships to embark and disembark from American ports unless they are manned by American crewmen. British officers and a very international crew embarked from Vancouver B.C. 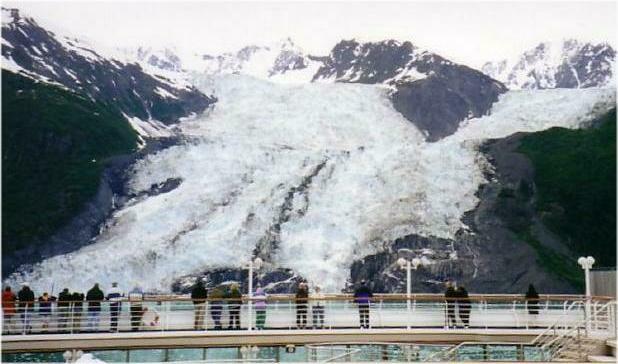 and disembark at Seward, Anchorage, Alaska. We sailed through Inland Passage, a narrow body of water between the Canadian mainland and continuous line of offshore islands. 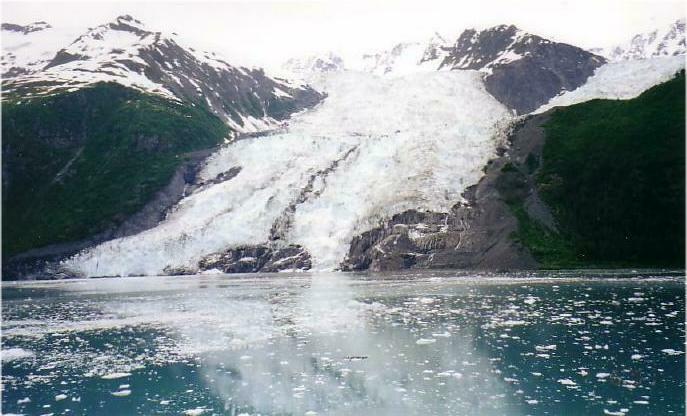 The Inland Passage were relatively calm as compared to the open ocean. 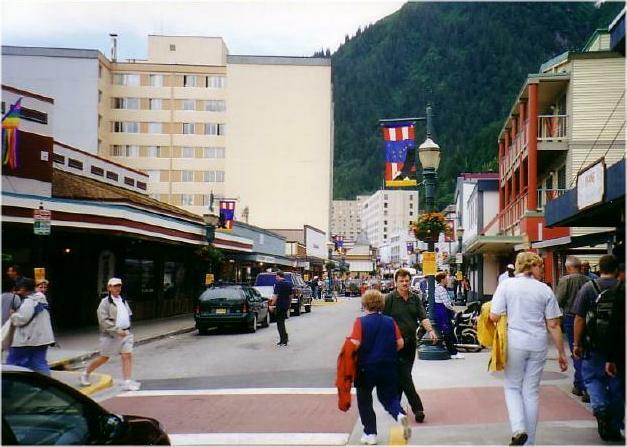 Juneau, the capitol, with a population of around 30,000 was our next stop. Blue skies and mild weather greeted us. It is accessible only by sea or air. It is 5 time zones away from the Aleutian Islands, the western-most part of the State of Alaska. 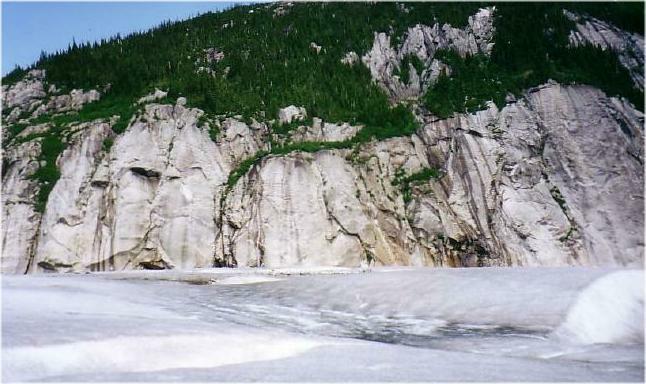 Below are some pictures taken on the glacier. 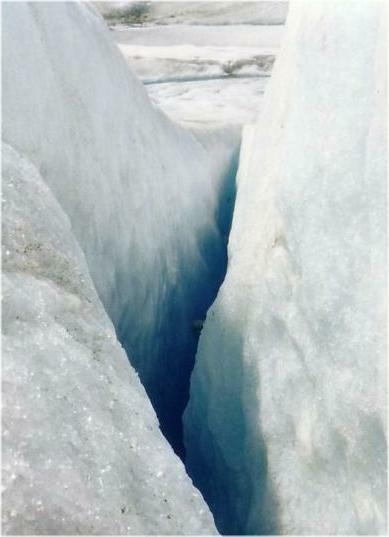 Crevasses can be hundreds or even thousands of feet deep. Watch where you're walking. 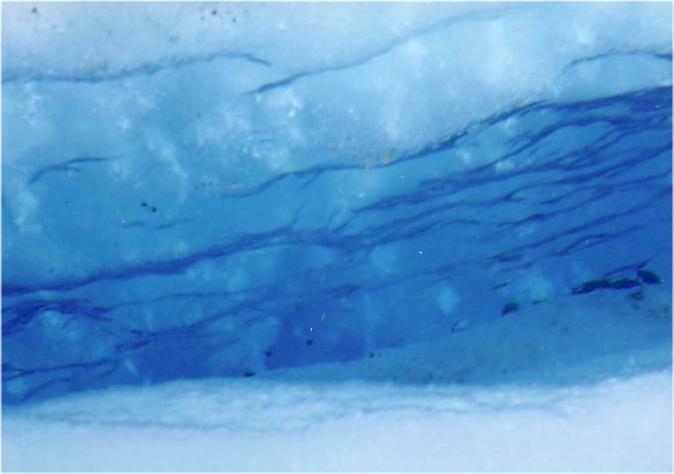 A bluish color appears in an ice crevasse due to a lack of oxygen. Small chunks of ice broke off and form ice floes in the bay. Spectacular vistas from ship.